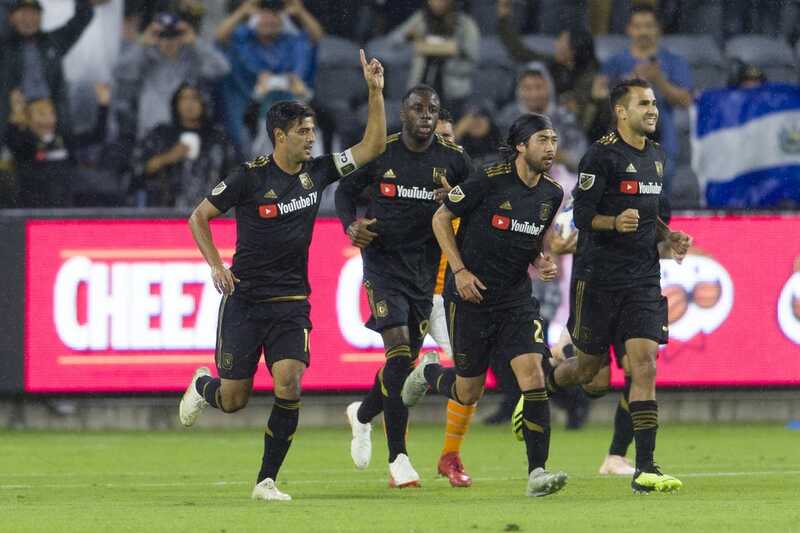 Carlos Vela scored his 12th and 13th goals of the season and added two assists as Los Angeles FC romped to a 4-2 victory over the Houston Dynamo on Friday night at Banc of California Stadium. Adama Diomande added his 12th goal of the season, and Walker Zimmerman headed in his fourth as LAFC (16-8-8, 56 points) moved into sole possession of second place in the Western Conference and within a point of leader FC Dallas. After falling behind early, then waiting through a lengthy weather delay, LAFC scored four unanswered goals to pull away to a third win in their last four matches. Mauro Manotas scored his team-leading 16th goal for Houston (9-15-8, 35 points), which lost its second in a row after being officially eliminated from playoff contention in its previous defeat.